Some exciting changes are being made to Mini Tennis which will come into effect on 1st September 2016 and below is all the information you need to know about the improvements. The improvements are being made following a significant research project into Mini Tennis and junior competition which involved listening to feedback from players, parents, officials and coaches. The outcome of this work pointed towards the need to focus on more local, team based and fun competition opportunities, as well as making changes to reduce some of the unnecessary pressure experienced in mini tennis competitions. All Mini Tennis red players will have their red rating removed and we will no longer issue Mini Tennis red ratings to new players. This is to ensure the focus at this age is on fun and learning to play without the pressure of moving through a ratings system. Once a player has played 40 red matches (previously 66 to reach red 1) and is in their second to last or last competition season, they will receive an Orange 4 rating and can start to compete in Orange ball competitions as well as continuing to play in Red ball competitions. We will be introducing new rewards for young players to help recognise their progression at tournaments including providing a t-shirt once they have played 20 red matches. 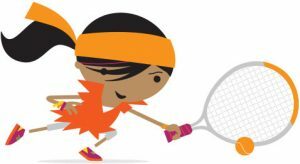 Mini Tennis orange grade 5 and 6 events will be played using the one match tiebreak scoring format with flexibility for organisers at grade 4. This change in the scoring format will help players with an easier transition from red to orange ball competition and Round Robin boxes can be used more often. Grade 1 – 4 competitions will still be able to use the existing scoring formats of the best of 3 tie-breaks to 7 or one short set. The LTA will also encourage orange ball tournaments to use court helpers on all courts wherever possible to help young children score and to take the pressure off scoring and calling their own lines. Venues will be able to use the green ball for 12U to 18U junior competitions (grade 6 and 7 only), such as match plays, which are appropriate for inexperienced players leading to a better experience. Grade 6 and 7 events that wish to use the green ball will need to promote that green balls will be used on the LTA Competition Search. The LTA will remove both the Regional and County Tour leaderboards for 9 & Under and 10 & Under age groups to help simplify the competition measures and reduce pressure at such a young age. In addition, the LTA will be stopping the 9 & Under National Tour and replacing it with friendly regional team matches. The LTA will launch a new team competition in September 2016 which will be locally delivered and focused on players having fun in a team environment. The LTA are aiming to create 100+ clusters across GB in the initial roll out. 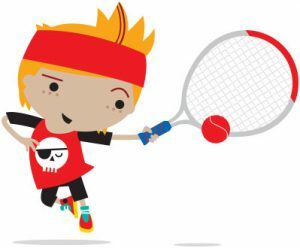 This new team competition will be for mini tennis and junior tennis players.